New Moon’s screenwriter takes The Daily Beast exclusively through its buzziest scenes. Plus, our complete coverage: the vampire economy, craziest tattoos, and the Rob Pattinson craze. In 2006, Summit Entertainment hired Melissa Rosenberg to write the script for a dance movie called Step Up—she’d been a dancer when she was younger, along with dabbling in the fields of bartending, massage therapy, and waitressing. Her collaboration with Summit went so well that eight months later, they had another project for her. “We have this movie with kind of an OC-type voice to it,” Rosenberg recalls the studio saying, in what now might be considered the under-sell of the century. She hadn’t read Stephenie Meyer’s Twilight, or even heard of it. “I’m almost embarrassed at how easy it was,” she says of landing the job as the writer of the three Twilight Saga films. To make fans feel like they’re seeing the book on screen, Rosenberg’s main priority was to replicate the characters’ emotional arcs. “You have to make sure you’re taking the characters on the same emotional journey as in the book or you’ll lose your audience,” she says. Rosenberg tested the waters with The OC, Ally McBeal, Boston Public, and Love Monkey, among others, but she was either fired, joined a show in its final year, or worked on ones that didn’t go past a single season. And then four years ago, she found Dexter, of which she’s now the head writer and executive producer. The show with the serial-killer protagonist was her ideal match—she has a thing for edgy characters. Rosenberg’s toughest challenge with New Moon came down to this: Team Jacob versus Team Edward. She felt that if she couldn’t convincingly build the third side of the love triangle between the three main characters, Jacob (Taylor Lautner), Bella (Kristen Stewart) and Edward (Robert Pattinson), it wouldn’t just be New Moon that suffered, but the entire franchise. Going into it, she was nervous. “I was like, ‘How do you even begin to compete with Rob Pattinson?’” The chemistry between Pattinson and co-star Stewart is much discussed in Twilight circles and was perhaps the key to the success of the first movie. • Gallery: Hollywood’s Sexiest Werewolves • More stories, galleries, clips of New MoonBefore filming started, rumors circulated that Lautner, who looked appropriately young in Twilight, might not make the cut to play the bulked-up, shape-shifting wolf that Jacob turns into in New Moon. But according to Rosenberg, Lautner took control of the situation. “He transformed himself. He is so natural and engaging… and he’s a tremendously talented actor. He can do funny, he can do drama.” As far as she’s concerned, the movie, directed by Chris Weitz, pulls it off. “The triangle is firmly in place,” she says. The third Twilight book, Eclipse, has already been filmed, and will be released sometime in 2010. What will come after that, for both Rosenberg and the Twilight saga? The divisive fourth book in the series, Breaking Dawn, would be difficult to adapt for many reasons, one of which is that a demon baby is one of the main characters. OK, we get it, she doesn’t want to talk about it— New Moon it is. To make fans feel like they're seeing the book on screen, Rosenberg's main priority was to replicate the characters' emotional arcs. "You have to make sure you're taking the characters on the same emotional journey as in the book or you'll lose your audience," she says. Luckily, a few million people are keeping track. After keeping tally of the changes during a screening, I pored over them with Rosenberg. Here’s a preview of what you will find in the movie that wasn’t in the book, and what was in the book and not in the movie—and why. Spoilers abound. Introducing the Volturi Book: While Edward and Bella are watching the movie Romeo and Juliet for English class, he casually mentions the Volturi, a powerful clan of Italian vampires Carlisle Cullen (Peter Facinelli), Edward’s father, used to live with. Movie: A painting of the Volturi, hanging in Carlisle’s office, comes to life. We see them in their castle, where their leader, Aro (Michael Sheen), crushes some poor guy’s skull and rips his head off. Getting Inside Bella’s Post-Edward Depression Book: Bella emails her mom the mundane details of her life in Forks. Movie: In the wake of the Cullens’ departure from Forks, Bella writes near-daily emails to Alice, telling her how much she misses them and talking about “the hole in her chest.” The emails bounce back unanswered. Bella as Biker Book: During a shopping expedition with her friend Jessica in Port Angeles, Bella sees a group of guys sitting outside a bar; she thinks they might be the same guys who previously tried to attack her. As she gets closer, she has a vision of Edward warning her to stay away from them, and she eventually walks away. Later back in Forks, she drives past two motorcycles for sale by the side of the road and decides to buy them. Movie: The guys are sitting on their motorcycles outside the bar. As Bella approaches, she has the Edward vision, but then she decides to go for a ride with one of the motorcycle guys. This gives her the idea to buy a couple of bikes and ask Jacob to fix them up. Harry’s Death Book: Charlie, Bella’s father, hunts the wolves that have been killing hikers. His friend Harry dies of a heart attack. A vampire named Victoria is known to be hunting humans in the area. The three things aren’t directly connected. Movie: Charlie and Harry together go hunting for the wolves. Victoria is in the forest, but only Harry sees her. She grabs him by the throat and lifts him off the ground. A werewolf knocks him out of her hands. Harry dies of a heart attack on the spot. Jacob’s Wolfy Evolution Book: Bella, Mike, and Jacob go on an awkward, three’s-a-crowd movie date, during which Jacob is playfully snarky toward Mike. On the car ride home, Jacob develops what seems like a fever, and he tells Bella he’s starting to feel “wrong.” It’s only later that he exhibits symptoms of wolf rage. Movie: Jacob explodes at Mike in the movie theater, provoking a near-physical confrontation. Edward Cullen: Man of Words, or Man of Action? Book: Edward and the Volturi have a heated argument about Bella after she and Alice come to Italy save Edward. Movie: The Volturi beat Edward to a pulp, nearly killing him. Why the change? “The entire movie we’ve been building to this climax, and it seemed like it needed to explode a bit. It was a natural choice to go there,” Rosenberg says. The End (No, Really, This Is a Spoiler) Book: Back in Forks, after the Italy trip, Bella, Edward, and Jacob go for a walk in the woods near the Swan house. Jacob struggles to keep his temper in check, and then Charlie yells at Bella, calling her back to the house. Movie: The trio have a powwow in the forest. Bella tells Jacob she loves him. Edward and Jacob almost come to blows before Jacob transforms into a wolf and goes tearing off into the woods. Why the change? To help solidify the love triangle for the next movie, Eclipse. “I wanted to have the triangle really land at the end of this movie so that it would be a culmination of New Moon but also launch us into the next movie,” Rosenberg says. 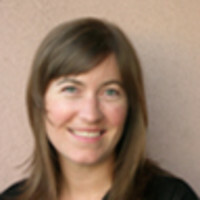 A former editor of Men's Journal, Claire Martin has written for Outside, The New York Times, and the Los Angeles Times magazine.